Universiti Tunku Abdul Rahman (UTAR), wholly-owned by UTAR Education Foundation, was officially launched on 13 August 2002 as a not-for-profit private higher education institution in Malaysia. With the first intake of only 411 students in one campus location in June 2002, today, the University’s enrolment has reached more than 24,000 students with campuses located in Bandar Sungai Long and the main campus in Kampar, Perak. UTAR’s flagship campus in Kampar, Perak, has since won the Pertubuhan Akitek Malaysia (Malaysian Institute of Architects) Gold Award in the Education Category in May 2013 for its architectural excellence. UTAR has also produced over 58,000 graduates since its inaugural convocation in 2005 and holds many years of graduate employment track record of over 97 percent within six months of graduation. Guided by its vision to be a premier university for the advancement and dissemination of knowledge and expertise while emphasising on the holistic development of individuals for nation building, UTAR has made impressive strides in establishing a strong reputation as a comprehensive university with dedication to achieving excellence in teaching and research. Besides the core subjects, it is compulsory for students to take subjects such as “Sun Zi’s Art of War and Business Strategies” and co-curriculum subjects offered by the Department of Soft Skills Competency, namely “Community Project” and “Arts and Cultural Performance Project” in order to be well-rounded students who actively engage with community betterment projects. Besides acquiring additional skills, the students also apply them through organising projects and activities that benefit the community such as various community service projects, Giving Back! Campaign, cultural performances at new villages, and others. Soft skills development: The UTAR Soft Skills Development Certificate (USSDC) Programme complements UTAR’s academic education and contribute to the holistic development of students. USSDC involves experiential learning in a series of interactive activities where participating students demonstrate their abilities in soft skills. The University currently offers more than 110 academic programmes spreading across nine faculties, three centres and three institutes. 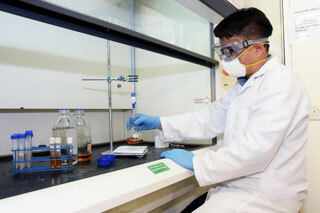 The programmes offered range from Foundation studies to PhD in the fields of Accountancy, Actuarial Science, Agriculture, Arts, Business and Economics, Creative Industries and Design, Engineering and Built Environment, Information and Communication Technology, Life and Physical Sciences, Mathematics and Process Management, Medicine and Health Sciences, and Social Science and Education. To date, the University has established formal collaborations to facilitate international exchanges, research and training with over 180 institutions and organisations consisting 117 foreign and local institutions of higher learning and 68 local and foreign industry partners. The programme involves experiential learning in a series of interactive activities where participating students demonstrate their abilities in using soft skills and merit points. These will enhance their competitive edge in the job market and excel in life. The UTAR Department of Alumni Relations and Placement (DARP) conducts training on professional skills, English Language proficiency, interviewing skills, resume writing and grooming besides organising career workshops and fairs to facilitate job placement for final year students and graduates, as well as creating opportunities for networking. All UTAR programmes are approved by the Ministry of Education (MOE), Malaysia. When a programme is fully accredited by MQA, it is registered under the Malaysian Qualifications Register (MQR). All UTAR programmes under the MQR are recognised by MOE, MQA and the Public Services Department. UTAR was awarded Tier-5 Excellent University in 2011 Rating System for Malaysia Higher Education Institution (SETARA'11), Tier-5 Excellent in Discipline-Based Rating System (D-SETARA) for Engineering as well as Tier-4 (Very Good) in D-SETARA for Health Sciences. 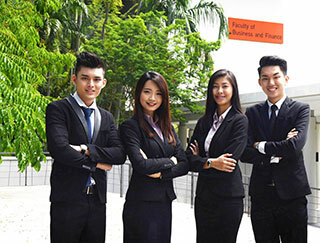 As UTAR maintains strong ties with leading professional bodies, its programmes are recognised by various local and international bodies such as Asian Institute Of Chartered Bankers (AICB), the Associations of Chartered Certified Accountants, UK (ACCA), Board of Engineers Malaysia (BEM), Board of Quantity Surveyors Malaysia (BQSM), Chartered Institute of Management Accountants (CIMA), Chartered Institute of Building (CIOB), Certified Public Accountants (CPA), Chartered Tax Institute of Malaysia (CTIM), Financial Planning Association of Malaysia (FPAM), The Institute of Chartered Accountants in England and Wales (ICAEW), Institute of Chartered Secretaries and Administrators (ICSA), Lembaga Akitek Malaysia (LAM), The Society of Logisticians Malaysia (LogM), Malaysian Association of Company Secretaries (MACS), Malaysian Institute of Accountants (MIA), Malaysian Institute of Certified Public Accountants (MICPA), Royal Institution of Chartered Surveyors, UK (RICS), Royal Society of Chemistry, UK (RSC), Society of Actuaries, USA (SOA) and others. Ir Professor Academician Dato’ Dr Chuah Hean Teik has been the President of Universiti Tunku Abdul Rahman (UTAR) since April 2008. Chuah is well known for forging excellent collaborative relationships between the industry and the academia and for promoting educational and research excellence. Chuah has successfully obtained contributions from the industry and individuals to set up nine endowed professor chairs in UTAR over the last three years. In 2009, he introduced the structured Soft Skills Certification system for all undergraduates at UTAR, allowing them to be better trained as all-rounded graduates. Chuah’s commitment in bringing UTAR to greater heights has resulted in remarkable achievements by the university. Over the years, UTAR graduates have enjoyed an employability rate of 97% within six months after graduation. UTAR achieved Tier-5 (Excellent) in SETARA ’13 (Rating System for Malaysia Higher Education Institutions 2013), Tier 5 (Excellent) in D-SETARA for Engineering and Tier 4 (Very Good) in D-SETARA for Health Sciences. Through his efforts, UTAR fostered close collaborative relationships with the industry and many foreign universities for curriculum development, training, R&D collaborations and student and staff exchanges. As an educator and researcher throughout his career, Chuah has made significant contributions in designing and developing new engineering curriculum as well as groundbreaking researches on microwave remote sensing, applied electromagnetics, and wave propagation for indoor and outdoor communications topics. He has authored and co-authored more than 250 papers in international journals and conferences and his contributions in microwave remote sensing are exemplary. He has formulated various theoretical models (High-order Renormalization Model, Monte-Carlo Models and Dense Medium Phase and Amplitude Correction Theory DM-PACT) to elucidate scattering mechanisms in sparse media and electrically-dense media so as to enhance one’s understanding of the physics of the problem, leading to better insight and applications of remote sensing techniques for monitoring and management of earth resources. His models were used by research groups in other countries for predictions of microwave backscatter returns from tropica forest stands, as well as from snow cover and sea-ice. Chuah is also an eminent technical leader and is active in professional bodies. He is currently the President of the Federation of Engineering Institutions of Asia and the Pacific (FEIAP) and strongly advocates mutual recognition of engineering degrees in Asia and the Pacific region by promoting the FEIAP Engineering Education guidelines. I chose to study in UTAR Malaysia because UTAR offers quality programmes with affordable fees. Moreover, the multicultural environment in Malaysia provides me an enriching learning experience. I really respect my lecturers because they are experienced and make learning exciting. I find everyone at UTAR, be it students, lecturers or staff, very friendly. I am very satisfied with my choice because all that I have learnt has made me a more confident and capable person. 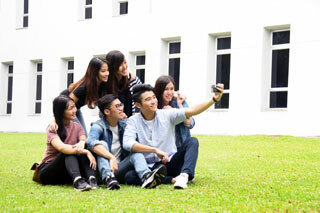 Studying in Malaysia especially at UTAR is a unique experience. My greatest concern when I first came to UTAR was communicating with fellow students and lecturers because I lacked proficiency in English. All the hardship has paid off. I am now adapting well to the local culture, the food, the people and also the language. I love the people here because they are very helpful, easy going, nice and polite. I believe my experience here has helped me to change for the better and made me a more responsible person. I will definitely take this experience with me in order to get the best in my future career. Although I am a foreign student, I feel very much at home here as I am able to socialise easily with the local students. Moreover, UTAR staff are always available to assist me in familiarising with the new environment of this beautiful campus. The warmth extended by UTAR community would be a source of inspiration for me to do well in my university education.